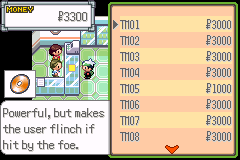 This is a further modified version of Pokemon Emerald: Complete Hoenn Dex Edition (please note that this is a standalone patch. 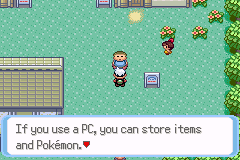 Use a clean ROM for this hack) intended to enable the entire Pokemon roster of Emerald’s generation. 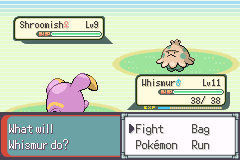 The priority is given to expansion over difficulty, resulting in a curve that is the same as Emerald in most parts, perhaps a little more difficult in some parts due to shifting trainers’ Pokemon and movesets around. 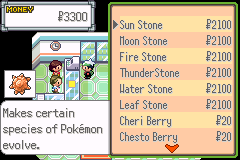 All 386 Pokemon are obtainable. A location list is included in the download. When you receive your Pokedex, it is automatically the National Dex. No separate upgrading events required at all! Every trainer has been altered in some way. Additional optional patches that enable the previous generations’ starters. 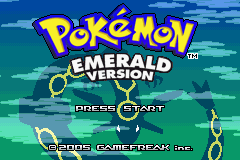 Two versions are included: a “light” edition which has the same trainer battles as vanilla Emerald (except for your rival’s starter for the sake of consistency), and the full patch which contains all modifications. Of course, if you’d rather have the edited evolutions be done by new evolution stones, check out Stone Clones. SCD Graphics Sprites used in the Black Jynx patch.